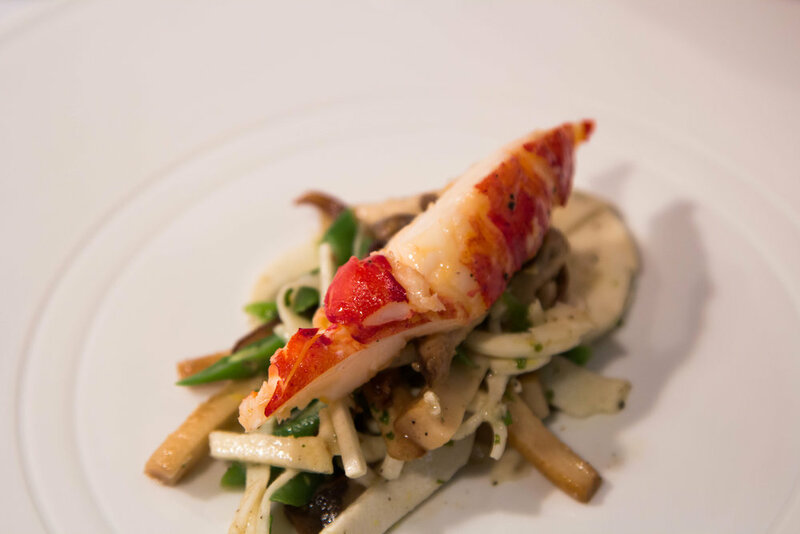 There's nothing quite like a culinary experience that brings together the best in food and the best in wine. 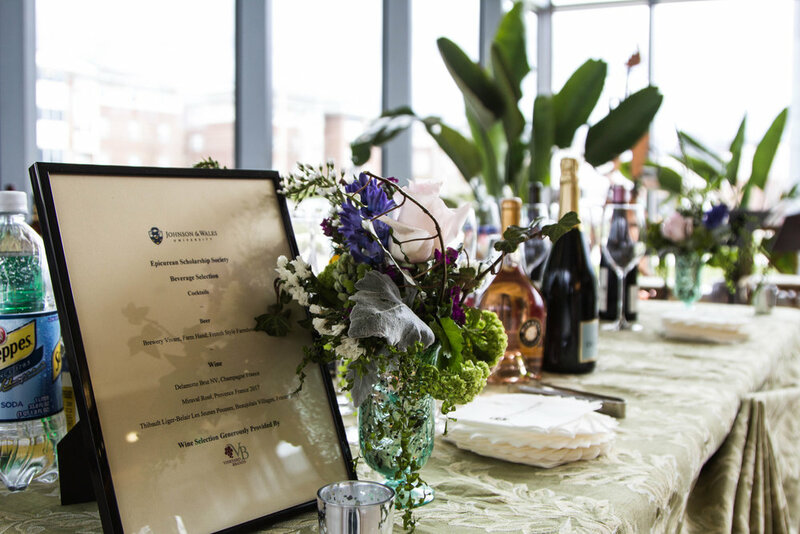 Because we recognize the importance of food as a part of the wine experience (and vice versa) and because we also recognize that the more people given access to and involved in the industry the greater chance for creativity, progress, and excellence, we helped sponsor an event at Johnson and Wales University in Providence Rhode Island. The Epicurian Scholarship Society at Johnson and Wales is a group of alumni who generously donate to a scholarship fund to help lower income students afford a degree in Culinary Arts. One source of this funding is a series of events featuring celebrity chef alumni who return to campus and work with students to prepare and serve outstanding meals. 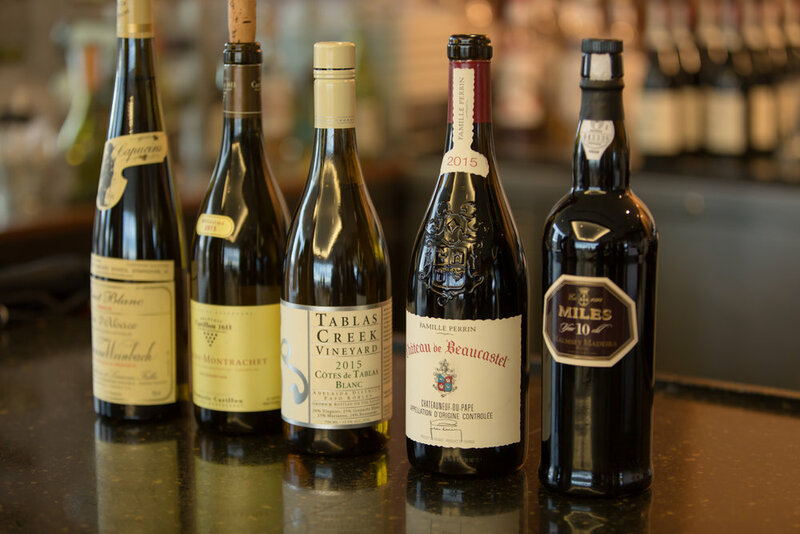 Johnson and Wales graduate and Vineyard Brands sales rep Patrick Harney attended the April 17 dinner featuring Tom Condron, owner of The Liberty and Lumiere French Kitchen in Charlotte, NC. Thanks to Patrick's efforts and belief in the Epicurian Scholarship Society's mission (and thanks to aid from Vineyard Brands own Hubert Fabre, Olivier Lotterie, and Paul Nerz) Vineyard Brands provided the wines for the evening. Before the meal, Chef Condron and Patrick talked about each dish and the wine served. 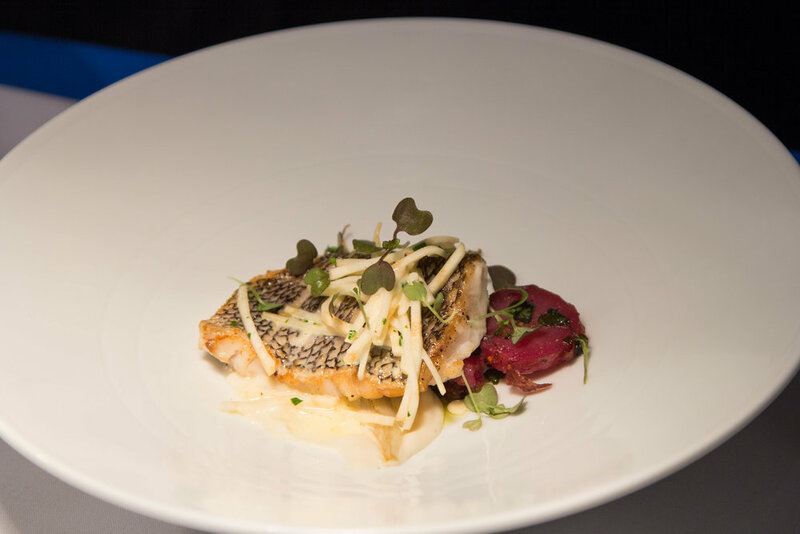 What makes Vineyard Brands' portfolio so ideal for events like this, and what makes the portfolio so distinct, is all of our wines ability to enhance and elevate the dishes without overwhelming. This trait was deeply appreciated among the diners, who were themselves very successful culinarians. At the risk of making your mouth water, we're sharing the menu and wine pairings from the evening with you. Perhaps you'll be inspired to recreate similar pairings. 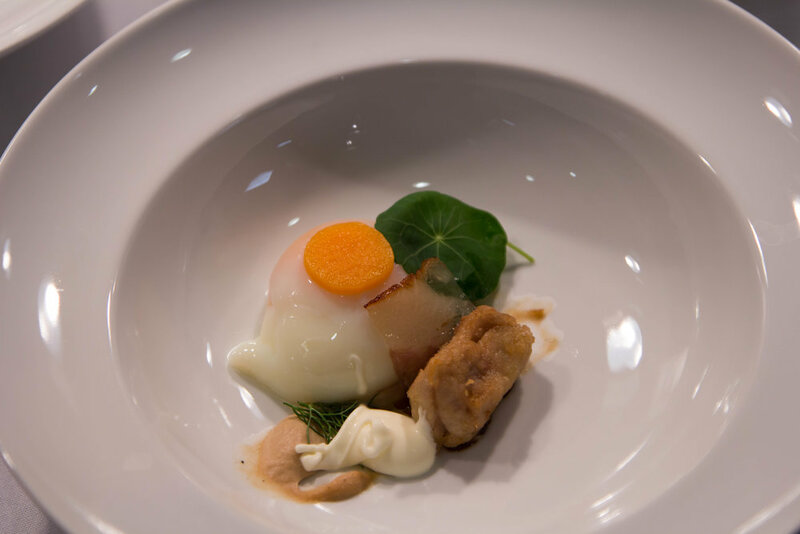 First Course: Roasted Butternut Squash Soup | braised jowl, glazed onions, fresh egg, crispy sweetbreads, crème fraiche. 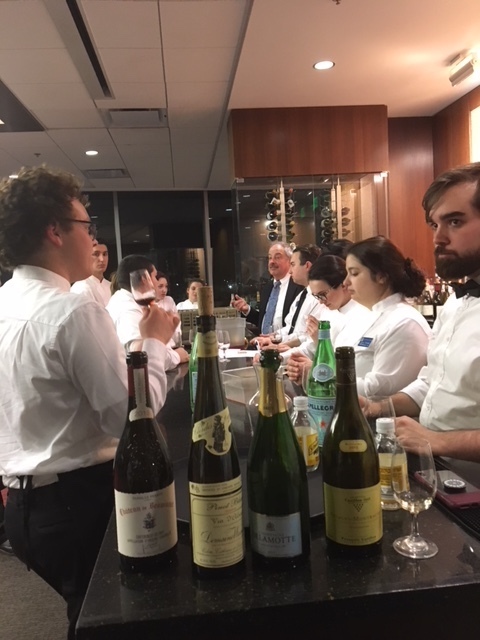 After the meal, Patrick stayed behind to conduct a tasting of each of the wines featured at the dinner with student servers and kitchen staff who helped prepare and serve the meal. There was such genuine interest in our wines from these young students. Head of Beverage Education at Johnson and Wales Ed Korry, former President of the SWE (Society of Wine Educators), was there for Patrick's tasting. We have a feeling these students will be creating beautiful music of their own soon. You can read more about the dinner and kitchen lessons taught by Chef Condron from Johnson & Wales here.